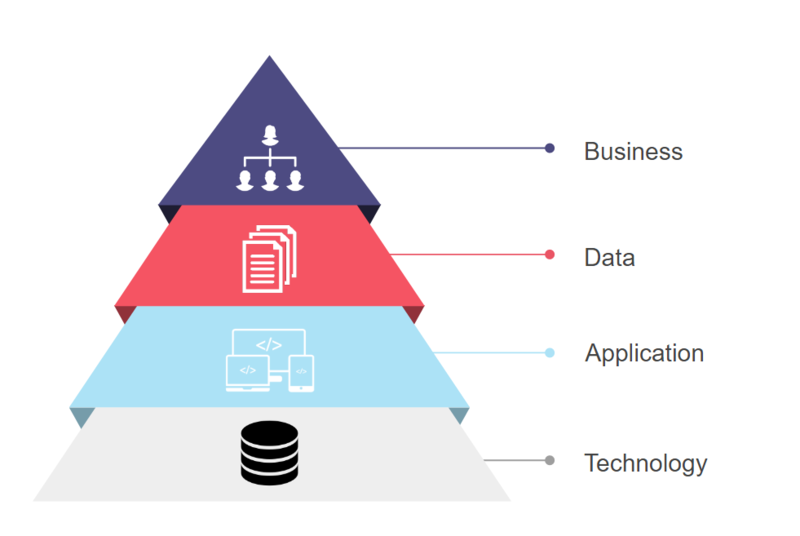 Today, enterprise architects are required to deliver insights quickly and make sense of large amounts of enterprise data (business knowledge, application information, technology assets, etc.). In this process, understanding and modeling interdependencies between entities is key. 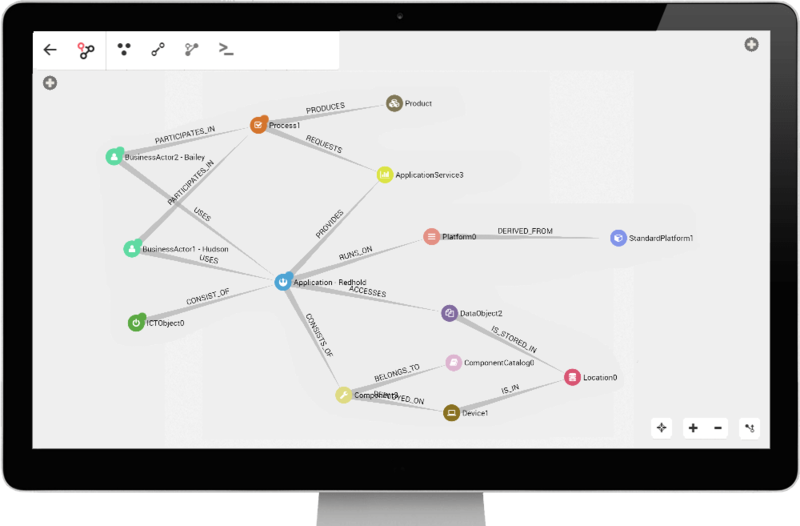 With relationships at the center of their model, graph technologies like Neo4j and Linkurious are ideal to drive change and innovation in complex environments. Where startups start with a blank page, mature organizations have to accommodate a complex set of objectives, infrastructures or processes when they consider change. Unmanaged, this complexity turns into paralysis and eventual replacement by more agile competitors. That’s why enterprise architecture is necessary for business or IT executives who need to balance the need for innovation against security and operational efficiency. Typically an enterprise architecture framework is divided in four domains: business architecture, data architecture, applications architecture, technology architecture. Taken separately, each layer has its own complexity. The technology architecture, for example,describes the hardware and network powering an organization’s applications. This is the domain of network engineers and network management. It involves mapping servers, devices, systems, locations to build an accurate picture of the network infrastructure. Understanding the interdependencies within the network infrastructure is necessary to diagnose failures or identify anomalies. As the network grows, it becomes harder and harder to minimize interruptions and guarantee security. These issues are compounded when you start considering the interdependencies across the whole enterprise architecture. If a new product is released, how will it impact the data, application and network layers? If a data center is experiencing outages, what are the impacts on the applications, data and business architecture? This results in lower organizational agility with new projects failing and difficulties in driving innovation. A big part of the problem is the lack of a single unified view of the enterprise architecture data. Information is scattered in siloed tools (landscape map, CMDB, system inventories, UML tools, process chain, balanced scorecard, etc.). At Linkurious, we are already supporting a number of organizations who are building their enterprise architecture based on a graph approach. Linkurious Enterprise provides an off-the-shelf solution to search, edit and visualize graph data. Directly compatible with Neo4j, Linkurious Enterprise supports the security, scalability and extensibility constraints of large organizations. This leads to a more transparent enterprise architecture, faster and better decisions and greater agility. For businesses with massive volumes of data and digital assets, graph technologies like Linkurious and Neo4j provide a foundation for a scalable enterprise architecture. Join us at GraphConnect Europe to discover how financial institutions are using graphs in data lineage and watch our webinar on enterprise architecture. Linkurious is a Silver sponsor of GraphConnect Europe. Use discount code LINKURIOUS30 to get 30% off your tickets and trainings. Join us at the Europe’s premier graph technology event: Get your ticket to GraphConnect Europe and we’ll see you on 11th May 2017 at the QEII Centre in downtown London! Jean Villedieu is passionate about innovation and information technologies. 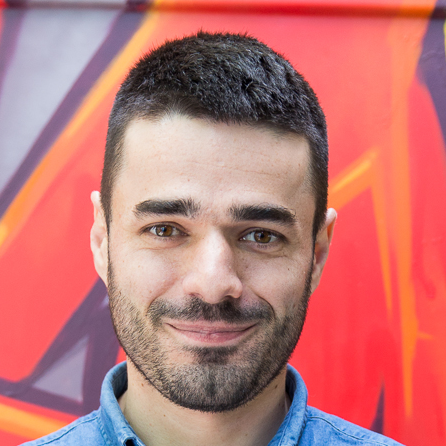 He is the co-founder of Linkurious SAS, a French start-up specialized in graph database visualization.